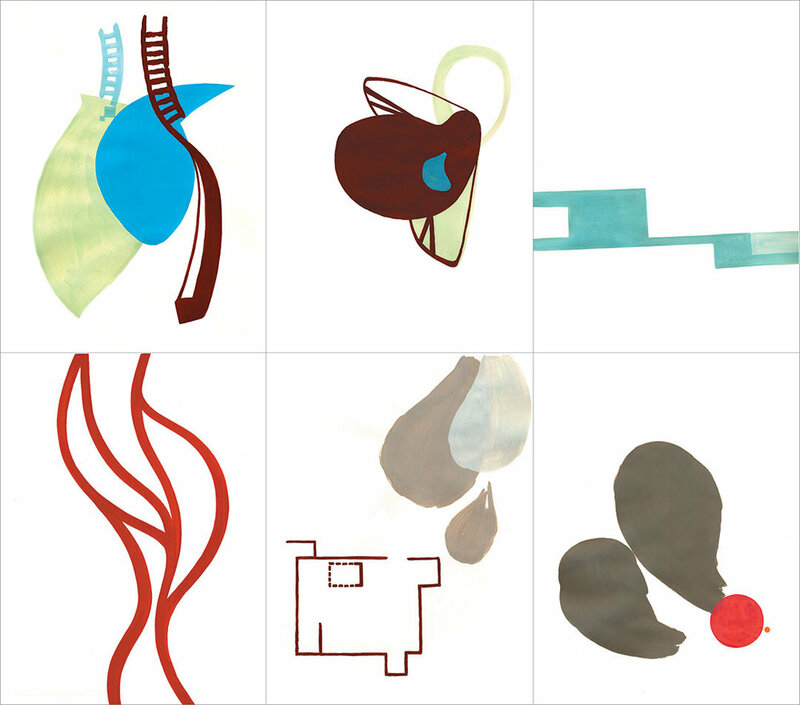 Talkative (x6) 12, 2008. Gouache on paper, 6 sheets W9" x H12" each, overall size W27" x H24". Talkative (x6) 11, 2006. Gouache on paper, 6 sheets W9" x H12" each, overall size W27" x H24". Talkative (x6) 10, 2005. Gouache on paper, 6 sheets W9" x H12" each, overall size W27" x H24". Talkative (x6) 9, 2005. Gouache on paper, 6 sheets W9" x H12" each, overall size W27" x H24". Talkative (x6) 8, 2005. Gouache on paper, 6 sheets W9" x H12" each, overall size W27" x H24". Talkative (x6) 7, 2004. Gouache on paper, 6 sheets W9" x H12" each, overall size W27" x H24". Talkative (x6) 6, 2004. Gouache on paper, 6 sheets W9" x H12" each, overall size W27" x H24". Talkative (x6) 5, 2004. Gouache on paper, 6 sheets W9" x H12" each, overall size W27" x H24".